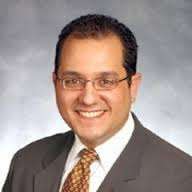 Prominent gaming attorney A. Jeff Ifrah (pictured) is sued by Black Friday defendant Chad Elie over alleged misrepresentation and negligence. Black Friday defendant Chad Elie, who pled guilty in 2012 to charges related to the processing of payments for US customers of PokerStars and Full Tilt, has filed a malpractice suit against prominent gaming attorney A. Jeff Ifrah. Elie, who is currently serving a five-moth prison term in California and will be released in June, alleges in his claim that Ifrah withheld an important legal opinion from Elie regarding the legality of third-party payment processing. Elie partnered with alleged online telemarketing fraudster Jeremy Johnson and others to set up an extensive processing operation on behalf of Stars and Tilt. In his lawsuit, filed yesterday in Nevada by Las Vegas attorney Sigal Chattah on Elie’s behalf, Elie also asserts other wrongdoing by Ifrah, who has represented Elie in other matters. Elie also alleged that Ifrah’s previous negligence in a separate case, brought by marketing firm Partner Weekly against Elie and his own marketing company, Viable Marketing, resulted in a summary judgment when Ifrah allegedly failed to file a timely response. The most egregious act Defendant [Ifrah] engaged in, however, was providing testimony and information against Mr. Elie and others to the United States Attorney’s Office in the Investigation leading to the Black Friday Indictments, including but not limited to his own Clients’ indictments. Defendant provided testimony against his own Clients to avoid being indicted, denying his involvement in the Black Friday Affair. Defendant’s statements minimized his involvement in the operations in violation of 18 USC §1001. While providing the US Attorney’s office with testimony against his Clients’, Defendant failed to disclose that he was receiving commission payments directly from Elie’s 21 Debit and Elite Debit as a commission for assisting Elie obtain said poker processing accounts with Full Tilt Poker and PokerStars. Defendant [Ifrah] violated the basic rules of his ethical obligations to Mr. Elie and put his own pecuniary interests ahead of his Clients’ and in turn thereafter, attempted to absolve himself of any illegal activity and cooperated with the US Attorney’s office against his own Clients to avoid his own indictment. As a result of Defendant’s misrepresentations and false and misleading legal advice, Mr. Elie was indicted along with others in the April 15, 2011, Black Friday indictments. As a further result of Defendant’s false and misleading legal advice, Elie was forced to plead guilty to one count of Felony Bank Fraud and was sentenced to five (5) months in prison for same. So according to Elie, the entire payment processing scheme being run out of Utah’s SunFirst Bank was done under the coordination of Ifrah, working for PokerStars and Full Tilt. Elie claims Ifrah was taking money from everyone involved — from his work for the major sites to some sort of commission (a/k/a/ “kickback”) which included what Elie alleges was a $100,000 monthly retainer during the SunFirst processing, plus legal fees due for Ifrah’s subsequent representation of Elie in several cases. Elie claims that for various purposes, he paid Ifrah and his law firm “in excess of $4,000,000 USD in attorney’s fees and commissions over the scope and course of Ifrah’s representation of Elie. The story in this one is far, far more complex than any report so far has shared. It is true that Ifrah was deeply intertwined in the fortunes of PokerStars and Full Tilt in their search for US-based payment processing. If one reviews the complex story of how the Poker Players Alliance (largely funded by PokerStars and Full Tilt became entangled in lobbying designed to benefit the SunFirst operation, the e-mail trails have a nexus: A. Jeff Ifrah. Those e-mails and the story of that questionable lobbying effort comprise one of FlushDraw’s most widely read features, a five-part series that begins here. Nonetheless, there’s a lot more to this tale, and a followup to this report will examine some of the backstory issues raised by Elie in his allegations.